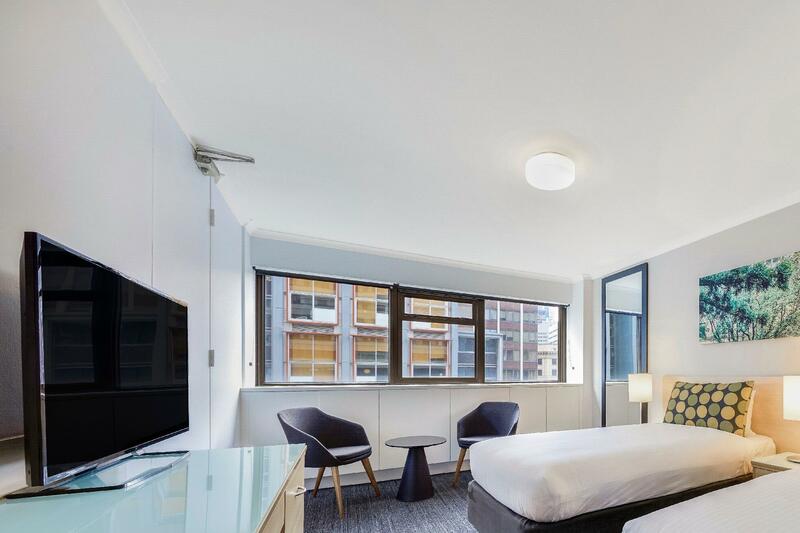 يقع فندق Travelodge Hotel Sydney Wynyard، المصمم ليناسب كل الضيوف سواء كانوا من رجال الأعمال أو السياح، في مكان ممتاز في أحد أكثر المناطق تفضيلاً في هذه المنطقة. لا يبعد الفندق كثيراً عن مركز المدينة، فهو يقع على بعد 1 km منها. في حين يستغرق الطريق منها إلى المطار حوالي 25 دقيقة. يقع هذا الفندق الحديث على مسافة قريبة من المعالم السياحية الشهيرة. إن الخدمات التي يقدمها Travelodge Hotel Sydney Wynyard تضمن للنزلاء إقامة مريحة. تتضمن الميزات الرئيسية في هذا الفندق: خدمة الغرف على مدار الساعة, واي فاي مجاني في جميع الغرف, خدمة التنظيف يوميًا, خدمات بريدية, مجهز لذوي الإحتياجات الخاصة. في الفندق غرف نوم يتجاوز عددها 283، كلها مجهزة بعناية وجمال وبعضها مزود بـ تلفزيون بشاشة مسطحة, سجاد, قهوة فورية مجانية, شاي مجاني, بياضات. يقدم الفندق خدمات رائعة كمثل مركز للياقة البدنية لمساعدتك على الاسترخاء بعد نهار طويل من النشاط والتجوال في المدينة. مهما كانت أسبابك لزيارة المدينة، فإن Travelodge Hotel Sydney Wynyard هو الخيار الأفضل لإقامة مثيرة وممتعة. 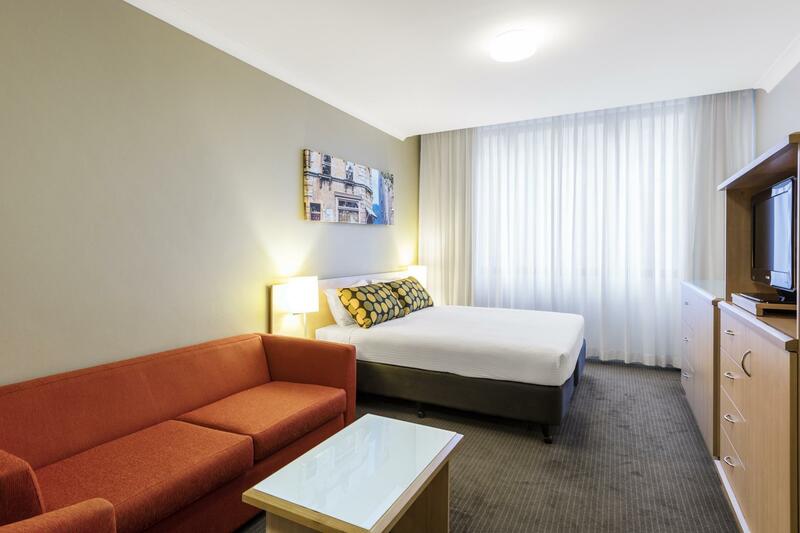 This hotel was in an excellent central location close to all main attractions and Wynyard Station making it easy for transfers to the airport. The hotel staff were very friendly and welcoming and provided lots of advice so we could easily find our way round the city. We needed a place for an overnight stay while attending a program at the Sydney Opera House. This hotel ticked all the boxes. Staff were most helpful. The room was bright, spacious and the bed and room most comfortable. The location suited our purposes nicely -- close to Wynyard Railway Station and just 10minutes walk to the Opera House. We'll be back. A few steps from station for airport train. No frills hotel with recent makeover but this didn’t increase number or improve location of power points, and still no .USB points. Bring a multi plug adapter. Food in restaurant limited choice but all I had was surprisingly good. Staff friendly but often over busy. Only a few metres from Wynyard station on airport line. Walk to most CBD locations, including Opera House etc. Some rooms recently renovated with much better bathrooms than before, but the flow in the water saving shower on level 20 was pretty poor. All staff friendly and helpful. Restaurant serves adequate no-frills meals. Location is great, only a few minutes walk away from train. Room was comfy. Had a bad experience here. The staff were so unfriendly. Rooms match those of 2 stars hotel. Hotel hallway is so small you almost can't use a wheelchair. They even charge 7$ a room to take down my bags from the room. That was the worst part. Really not recommended, there are way better hotels around. All staff are so friendly and helpful. Nice room with facilities that you need. Location is at York street which is great cos it’s walkable everywhere! Walked to the Rocks, Circular Quay, Darling Harbour, Town Hall area. Nice and central location to explore The Rocks. The bed was the best I’ve slept in at a hotel in years but the bathroom let the room down. It feels and looks like a hospital bathroom and the automatic door is annoying and doesn’t give you complete privacy. I was annoyed I couldn’t use the gym earlier than 6am I booked the hotel because it had a gym and then couldn’t use it. We were allowed into our room hours before the 2pm advertised. Desk staff were welcoming and very helpful. We placed our luggage in the store and we were given information about flight bus to the airport which we booked. The hotel is no more than 100 mts to the Wynyard station....very convenient for getting around the city. Plenty of coffee shops in the area. The room and bathroom were spacious and extremely clean. We shall return !!! The experience of 4 day staying is good. Staff were very nice and helpful. 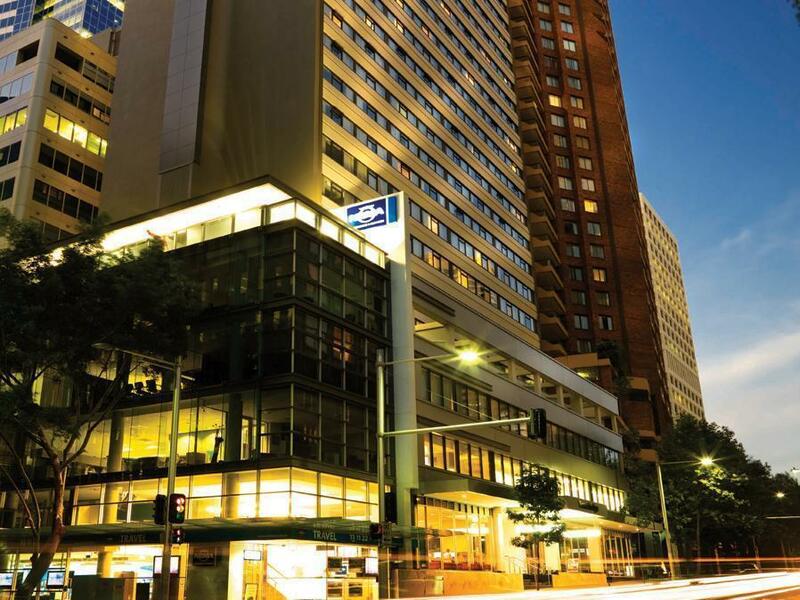 Location of this hotel is excellent for ppl want to explore Sydney CBD either by foot or by train. The only concern of my staying is that the carpet looks quite dirty . 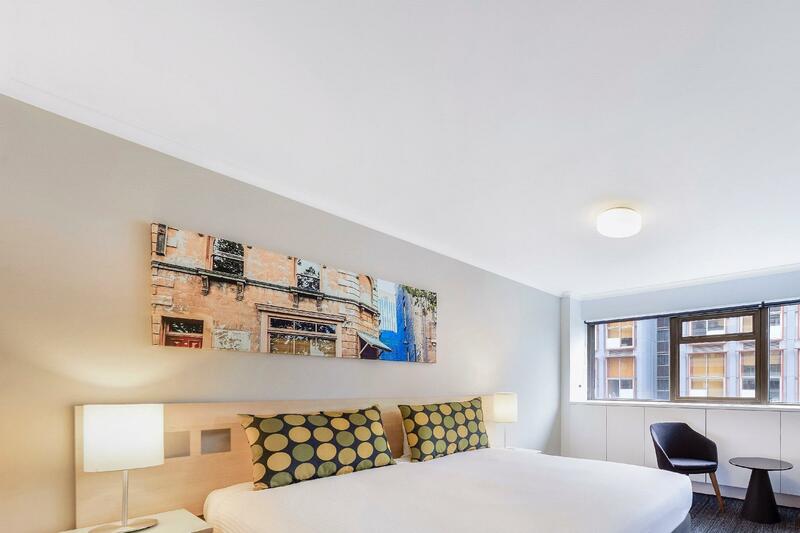 Hotel is 100 meters from Wynyard train station and walking distance from most things you would like to see in Sydney CBD, Rocks area and Sydney Opera House. Car parking is 40$ a day. Bathrooms are small but have been renovated recently. Standard and executive rooms are the same but executive rooms are on higher floors and a bit more quiet from street noise. 500MB free WiFi per day. I would rate this hotel 3+ star. We enjoyed our stay and had no problems. Good for short stay in Sydney for shopping and see the sights. Overall experience is great. Toilet just got renovated. Staffs are friendly. Location is walking distance to Sydney Opera House and The Rocks district. Can easily be reached from Wynyard Train Station just a few meters walk. 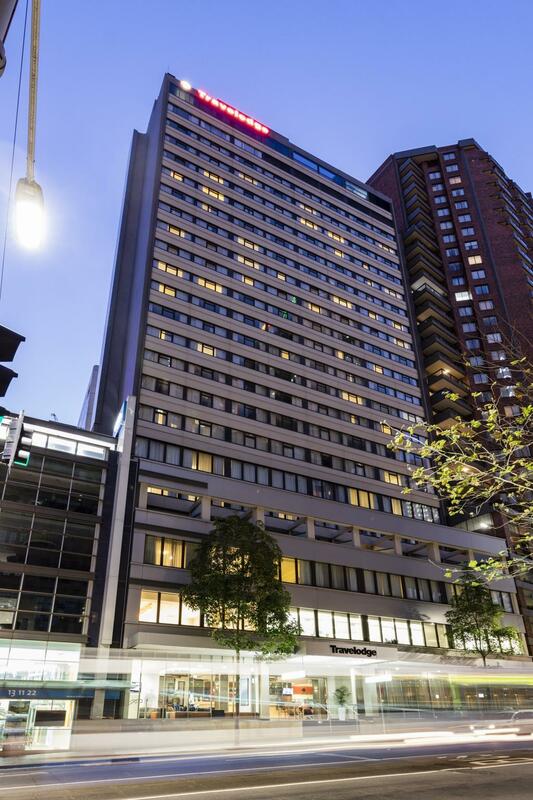 Located conveniently next to Wynyard train station, if you catch the train from Sydney Airport, it's only about 18 minutes away. Staff upgraded our room to an executive suite, which we really appreciated. Will definitely stay here again. 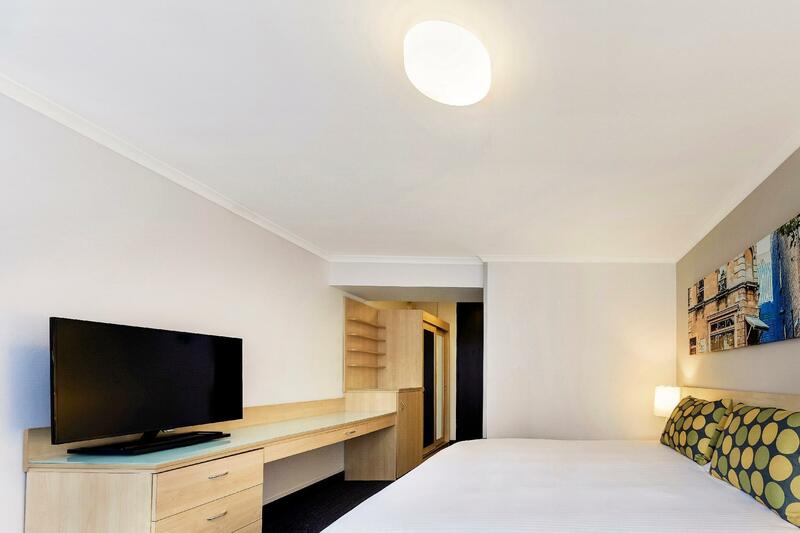 The Travelodge Hotel is located right in the centre of Sydneys CBD: Just 10 minutes walking distance from Sydney Harbour and the Opera House, close to the Rocks with its nice Bars and Sunday Markets and convenient to walk to the main Shopping Malls in George Street and Pitt Street. This hotel was a great pick for us 3 friends as the main attractions were in walking distance and it is a great price in this location. The rooms were ok and the train station was just around the corner. Located in a busy area we were a bit worried that it might be very noisy, but it wasn't noisy at all. There was unfortunately no nice view out of the window but we didn't really care being outside all day. I would definately stay at this hotel again and recommend it to anyone that likes to do sightseeing and shopping. Flushing system and shower waterflow were weak. No mineral water, toothpaste and toothbrush provided. Ideal location, near exit 3 from Wynyard station. Receptionist did not inform us about the location of self service laundry and gym, had to ask. Good location, pricey for the type of room you get. Staff helpful. Lifts haven’t improved in over a year since I last stayed. Good location! 5 mins walk to Wynyard Station. I will stay here again when I visit Sydney!